So you have got a call for an interview? Well, this means that you have written your resume well and have somewhat impressed the interviewers with your achievements and accomplishments! 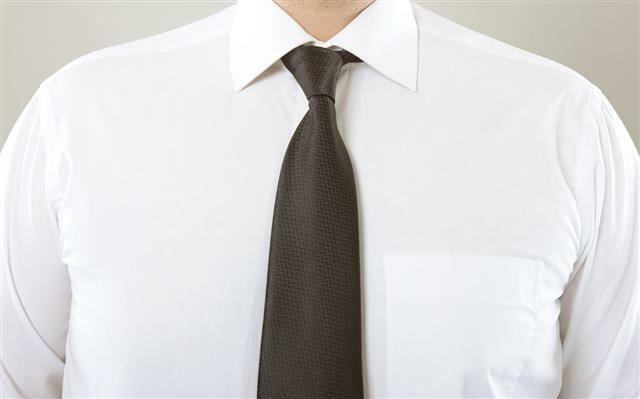 Now, the next thing in line for you, to clinch that coveted job, is to clear the interview. When appearing for an interview, one very important thing that you should remember is that during an interview, you are a "product" and you have to "market" yourself, in the most professional and intelligent manner, so that the interviewers select you over the other candidates! The way a person dresses up, speaks volumes about his personality. To create a good "first impression" in an interview, wear clean, ironed, professional clothes. The shoes should be well polished. Women should keep the accessories to the minimum and the clothes should not reveal skin. Men should be well-groomed. Clothes in colors such as white, gray, brown, black and maroon should be worn. There should be nothing flashy or over the top about the accessories and outfits for an interview. While preparing for a job interview, candidates should try to know as much as they can about the organization they want to join. Today, one can easily find information and news on an organization from the Internet. By keeping oneself updated on the company, a candidate can answer questions such as "what do you know about our organization? ", "why do you wish to join our company", etc, which are some of the commonly asked questions in any interview. As mentioned earlier, a candidate has to market himself during an interview. To do this, he should be well aware of all his strengths, weaknesses, his achievements, skills and accomplishments in the past. So one of the useful tips is to give yourself some time and go through all your certificates, work experiences and educational degrees. Jot down all the points that you feel will make you the ideal candidate for the job at hand. Take out some "me alone" time and think about yourself. Increase your "self-knowledge" as it will help you answer many interview questions effectively. An interviewer is looking for a candidate who is experienced, educated, well trained and most importantly, capable of working in a team. That's why, being rude or arrogant or disrespectful, during an interview, is a big no no. Being courteous and confident is very important to be successful in an interview. Reaching fifteen minutes prior to the interview, greeting the interviewer, looking him in the eye, answering all the questions with clarity and confidence, thanking him at the end of the interview for giving you time, these all things which may seem small, actually contribute a lot towards creating a favorable impression of the candidate on the interviewer. Display a positive body language. Smiling every now and then, sitting upright, sounding and looking energetic, correct hand and eye coordination while speaking show that the candidate is confident and positive in his approach. Fidgeting, stammering, avoiding eye contact, looking nervous, being defensive while answering questions, are some things to avoid. Being good at communication is one of the skills that is much-needed to get through an interview. During an interview, presentation is very important. Whatever you have achieved in your previous jobs, will hold no relevance, if you can not communicate the same, in the most concise and clear manner to your interviewers. Also, whenever conveying your achievements to your employers, give actual figures and examples to increase their authenticity. For instance, telling the interviewers that you overachieved the sales target given to you in the past company by 30%, sounds much more genuine than simply saying that you exceeded sales targets. To be successful in a job interview, make a list of some of the most commonly asked questions, and then practice answering them on your own. This will help you immensely while appearing in front of the actual interviewers. In the end, do not pin your hopes on a single job as this can increase your anxiety. Instead, apply for a number of jobs and keep an open mind while appearing for an interview. Do not show your desperation, instead be confident about the whole thing, this will not only help you in clenching the job, but also a good pay package! All the best!